This morning’s prayer is a reflection on God’s unwavering, always accessible presence. As students head into the busy final weeks of the quarter, we are reflecting on finding connection to God in all moments and through all activities. We must try to converse with God in little ways as we do our work; not in memorized prayer, not trying to recite previously formed thoughts. Rather, we should purely and simply reveal our hearts as the words come to us. 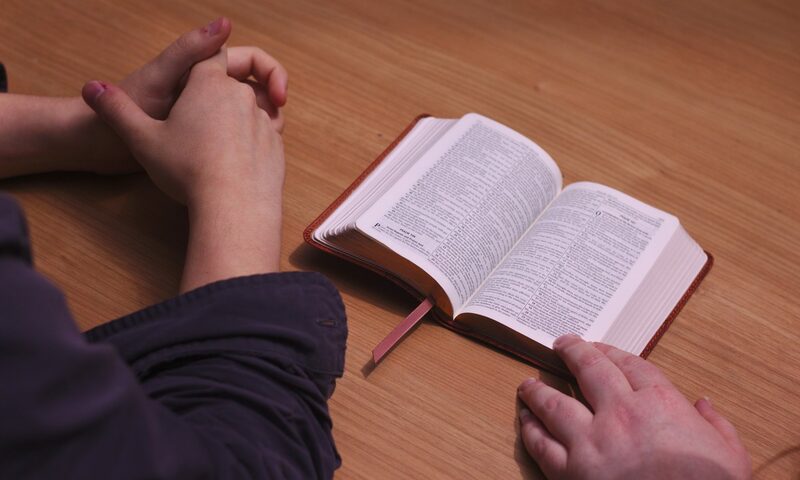 Whatever we do, even if we are reading the Word or praying, we should stop for a few minutes – as often as possible – to praise God from the depths of our hearts, to enjoy Him there in secret. Since we believe that God is always with us, no matter what we may be doing, why shouldn’t we stop for awhile to adore Him, to praise Him, to petition Him, to offer Him our hearts, and to thank Him? What could please God more than for us to leave the cares of the world temporarily in order to worship Him in our spirits? These momentary retreats serve to free us from our selfish-ness, which can only exist in the world. In short, we cannot show our loyalty to God more than by renouncing our worldly selves as much as a thousand times a day to enjoy even a single moment with Him. This doesn’t mean we must ignore the duties of the world forever; that would be impossible. Let prudence be our guide. However, I do believe that it is a common mistake of the Spirit-filled people not to leave the cares of the world periodically to praise God in their spirits and to rest in the peace of His divine presence for a few moments.